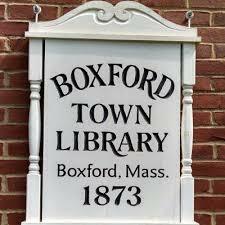 Water is considered “hard” when your Boxford water contains higher levels of dissolved calcium and magnesium. Hard water makes cleaning clothes more difficult, creates streaking on dishes and glasses, and makes cleaning your hair and skin well a challenge. Hard water can also damage your home’s piping distribution system if not corrected. Hard water makes it hard to clean.There are high efficiency filtration solutions that will condition your hard water by removing these hard water minerals through the proven ion exchange water softening process. H2O Care is an established Middleton, MA (route 114) based, full service water filtration and testing organization originally formed in 1989 with an additional office in Hudson, MA. See our written and published articles on common regional water problems in Water Technology Magazine by going to our website, www.h2ocare.com and going to the publications photo on the home page or the tab at the top of the home page. Contact us at service@h2ocare.com or 800-539-1100.